Adventure Cove offers excitement for all ages with 36 challenging holes of miniature golf on two Caribbean style courses. Enjoy the sights and sounds of paradise as you play through caverns and around lush garden lagoons. Come inside and test your skills at the Island's ONLY arcade. Collect tickets to win great prizes at our redemption center. Companions, Nurses, and Nannies, Inc. Companions, Nurses, and Nannies, Inc. is Hilton Head Island's first in-home healthcare nursing registry, serving the Lowcountry for more than 30 years. In addition to our staffing services, we provide customized care in private homes, hospitals, retirement communities and assisted living facilities.Our staff of Companions, Registered Nurses, Licensed Practical Nurses, Nurses' Aides and Nannies is capable of providing 24-hour care, seven days a week. Please call for a complimentary assessment of your needs. Guardian Angels Sitting Service, LLC is a Babysitter, Pet sitter, and Elderly Companion Referral Agency that is bonded, licensed and insured. We place highly qualified babysitters, pet sitters and elderly companions with families residing or vacationing anywhere throughout the Hilton Head Island, Bluffton, Beaufort and Charleston, South Carolina as well as Savannah, and the Greater Atlanta, Georgia area. All of our Babysitters and Elderly Companions are responsible, reliable, and enjoy spending time with children and the elderly. For the kids, the Bristol Sports Arena offers a skating park equipped with ramps for stunt skate-boarding, in-line skating and bicycles also. The park also includes a roller hockey rink which doubles as six half-court basketball courts. For many years, locals have made Coligny Plaza their go-to place for finding whatever “IT” is. 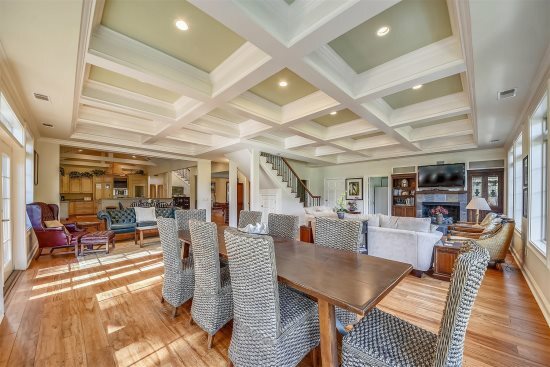 Millions of visitors make Coligny part of their family traditions of enjoying all the Island has to offer. With over 60 shops & restaurants, there is truly something for everyone! Shop specialty stores; enjoy entertainment by local talents, then have a bite to eat at one of our tempting restaurants! Welcome to Commander Zodiac! It's always a beautiful day at South Beach Marina! Come join us for your family adventure. Explore the wondrous waters of the low country on an amazing Dolphin excursion or sail along with playful dolphins in your wake. The kids will love our mornings of fun and delight in sailing their own boat. The choice tour company for National Geographic, the BBC and Discovery Channel; our focus on nature, ecology and fun will make your excursions unique and unforgettable. Commander Zodiac, where your adventure will become an experience of a lifetime! It's the Bubble Gum Cruise Harbour Town's very own Vagabond takes kids on a cruise into the Calibogue Sound for dolphin watching, cutting up, sing-a-long and fun. The Bubble Gum Cruise departs Harbour Town every Thursday and Friday morning during the summer months. The cruise departs from the Harbour Town dock behind the lighthouse at 9:30am and returns at 11:00am. No reservations are necessary. Please purchase cruise tickets on the dock on the morning of the cruise. Here's what you'll enjoy at Island Playground: 1) Huge, climate-controlled indoor playground featuring fun for kids and comfort for adults 2) Giant inflatables including exciting slides, winding obstacle courses and brightly-colored jumpers 3) Separate toddler exploration area with soft play gymnastics equipment, tunnels, climbers and ride-on toys 4) Large picnic area for enjoying refreshments and snacks from our snack counter 5) Comfortable seating areas for parents with a view of children playing, free Wi-fi internet (bring your laptop and enjoy), T.V. and a rack of current magazines and newspapers 6) Join us for Open Play (6 days a week), birthday parties, Parents night out, playgroups, school field trips, group outings, special holiday events and more. The Hilton Head Island Recreation Association is a non-profit organization dedicated to improving the quality of life for area residents of all ages. The Association produces, provides and coordinates public recreation programs, activities and community events. The Association commits itself to monitoring the recreation needs of the community and instituting change where appropriate. 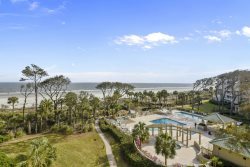 Outside Hilton Head is the Island's premier source for all of your Hilton Head vacation activities. Explore the natural waters surrounding the Island with our water adventures enjoyed by visitors and locals alike. We offer a variety of Hilton Head kayak tours that explore the waters and abundant wildlife that makes the Lowcountry its home. Tour Hilton Head Island's waterways by standup paddleboard or boat. This public park opened May 5, 2003. It is a 53 acre park with an 11 acre lake. Amenities include rest rooms, barbeque grills, playground, floating dock, picnic pavilion, boardwalks through wetlands, and asphalt and mulch trails. The lake is stocked with Blue Gill and Largemouth Bass for catch-and-release fishing. The asphalt trail is connected to the town bike paths. The park is also part of the rainwater management system for runoff from Hilton Head Plantation and surrounding areas. Runoff is pumped into the lake, where sediment settles, then is filtered through the wetlands before being released into Jarvis Creek.The $1 million park was funded by the sale of dirt that was removed to form the lake and by grants. This park is located on the way to the Palmetto Bay marina, just off Arrow Rd. close to the intersection at Palmetto Bay Rd. on Helmsman Way. It includes lighted ball fields and a regulation soccer field. It also boasts the Bristol Sports Arena, with it's basketball and roller hockey rink, a kiddies playground, and a facility for stunt skateboarding. This is Hilton Head's most pristine park, largely left to nature, with gigantic oak trees decorated with Spanish Moss. It has restrooms, a small pavilion with two picnic tables and a pier out into the tidal marsh. You can walk to a beach on the Port Royal Sound (about 0.3 miles from the parking lot), where clamming is popular. Truly wonderful for nature lovers, but close enough to the airport that the sound of aircraft is more than obvious. It's almost at the end of Beach City Road. 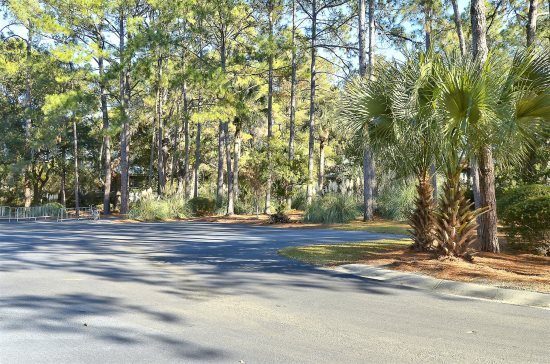 This park is on the North end of Hilton Head, off Squire Pope Road (the first traffic light coming on to the island). It has basketball courts, restrooms, a playground, a historic cemetery and great views of Skull Creek. This is a kiddies playground located at the Harbour Town Marina parking lot in Sea Pines Plantation. It includes a tree house, swings and other playground equipment. This park is on highway 278 at mile marker 2 (Wild Horse Rd.) and has tennis courts, basketball courts and a soccer field. This is where concerts and festivals are usually held. There is no playground, but, between events you can relax or toss a Frisbee™ there. Chaplin Community Park Located mid-island off Burke's Beach Rd. This park provides baseball and soccer fields and it is also one of the beach access points. It includes the Best Friend's Dog Park, a place your dog can run and play with other dogs free in a fenced area. It has four tennis courts, two basketball courts, walking trail, three multipurpose fields, playground, and restroom. Grab a pirate tattoo, sword and eyepatch and become a pirate in Captain Shannon Tanner's Band of Pirates! Pirate Kidz sneak through Shelter Cove Harbour to the docks, where thy capture a ship and set sail in search of "The Lost Treasure of Captain Willy H". It seems Yellowbeard knows about the treasure too, so there will surely be a SHOWDOWN at sea where Captain Tanner'z Pirate Kidz will blast the yellow out of Yellowbeard with their water muskets and cannons! The treasure and loot will then be shared with much pirate revelry....singing and dancing! Shelter Cove Harbour offers year-round waterfront dining, shopping, and entertainment, plus spectacular views of Broad Creek. This laid-back Mediterranean-style village combines the Island's best shops, restaurants and waterfront activities in one dazzling location. Art cafe will let your little ones create ceramic pieces and paint them. Located in Sea Pines Plantation, Lawton Stables offers horseback riding in the heart of the beautiful resort island of Hilton Head, South Carolina. Located just off Pope Avenue on the south end of the Island, this interactive museum provides a unique place for educational play between children and their parents, grandparents or caregivers. Little ones from infant to (8) eight will be captivated by the fun filled play centers and engaging activities. With Hilton Head Island’s gorgeous beaches as our backdrop, we create incredible family portraits that you will cherish for years to come. We start in the dunes where poses are more traditional and work our way to water’s edge for a more candid approach. Our team of photographers and assistants provide a seamless experience. Mention that you are staying with Sunset Rentals for $250 towards any Print Portrait Collection!